Offered during the 9:30 a.m. Sunday Liturgy from September through May, the Children’s Liturgy is offered to children who have not yet made their First Communion. 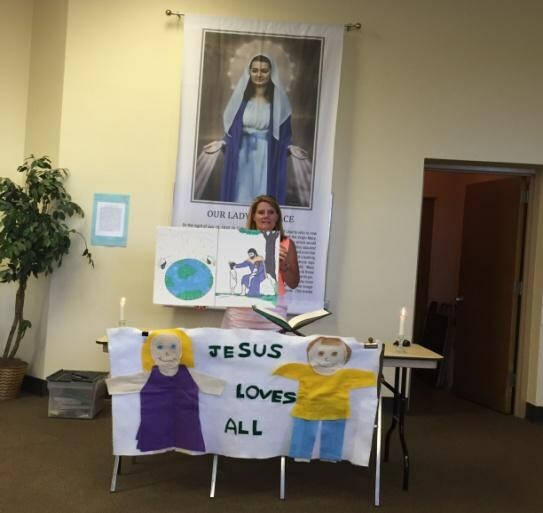 Held in Keefer Hall, an adult leader presents and explains the Sunday readings to the children. The Apostles Creed is then recited and intentions are prayed prior to the children rejoining their parents in church.